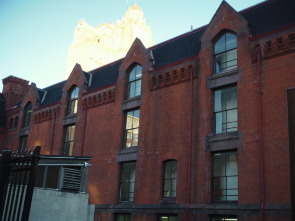 A photo of the dormitories at the former location of the PA School for the Deaf. 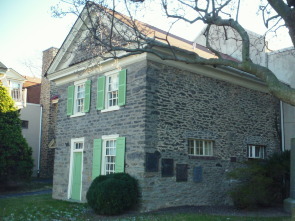 The exterior of one of the schoolhouse buildings at Pennsylvania School for the Deaf. In 1820, according to legend, Bishop William White saw a young hearing-impaired child, Albert Newsam, drawing on a Philadelphia street. Bishop White was so impressed with the child’s drawing that he decided to help provide for the education of the hearing-impaired in Philadelphia. Bishop White soon met young Newsam teacher, David Seixas. Seixas had decided to provide care and instruction for hearing impaired children after observing that there was a need for a deaf school in Philadelphia. In 1819, Seixas took fifteen deaf students into his home and began educating them. Bishop White encouraged members of the American Philosophical Society to find a more permanent home for Seixas’ school. 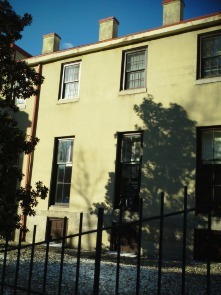 Members of the Society met on April 12, 1820 to officially establish “The Pennsylvania School for the Deaf.” The members of the Society made several plans for the new school. These plans included electing people to run the school and finding ways to pay for a school building. The Society also requested that he Pennsylvania State Legislature officially recognize the Pennsylvania School for the Deaf as a state approved school. On February 8, 1821, The Pennsylvania government officially gave the Pennsylvania School for the Deaf recognition as an educational institution. The School Charter’s stated that its purpose was to provide an education to Philadelphia children who lacked the power to communicate in a traditional fashion. The State also saw fit to provide financial aid to support the running of the school. 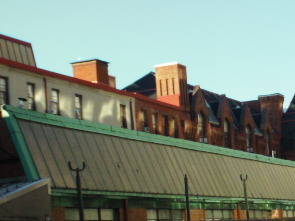 The new building housed the Pennsylvania School for the Deaf opened in late 1821 at the south eastern corner of Eleventh and Market in Philadelphia. The school opened with David Seixas as the primary teacher, Bishop White acting as the school’s president, and a small group of fifteen students. Seixas served as principal of Pennsylvania School of the Deaf until October of 1821. Seixas was replaced by a Frenchman Laurent Clerc, who briefly held the post. Clerc traveled to America in 1816 with Thomas Gallaudet, where the two men established the first school for the deaf in the country in Hartford Connecticut. 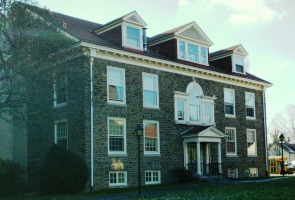 The Pennsylvania School of the Deaf was only the third school of its kind in America. 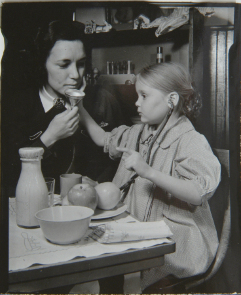 Clerc’s replacement was Lewis Weld who had been the school’s first assistant principal. 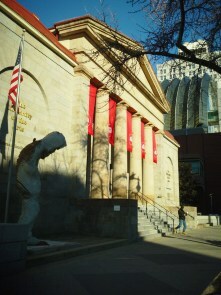 By 1825, the enrollment of the school had increased so significantly that it was necessary to move to the school to the corner of Broad and Pine which today houses the University of the Arts. Since 1820, the Board of Directors had talked about moving the school to a location outside the city. However, they also wanted a location which could be easily reached from the city. In 1889, the school’s Board of Directors bought a new school site in the neighborhood of Mount Airy. Three years later in 1892, hearing impaired students began attending school at the new Mount Airy campus of Pennsylvania School for the Deaf. 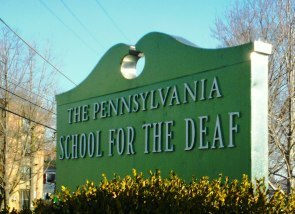 In 1984, The Board of Directors of the Pennsylvania School for the Deaf moved the school to the former Germantown Academy campus at 100 West School House Lane and Greene Street in Germantown. The Directors purchased the site from the Philadelphia Redevelopment authority. 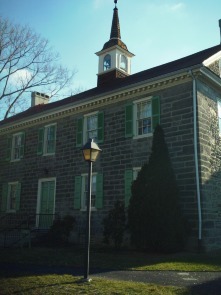 The school officials repaired the buildings of the former Germantown Academy while also maintaining the Academy’s historic character during the process. Like the Pennsylvania School for the Deaf, the site of the old Germantown Academy. has a rich historical past. Today, the Pennsylvania School for the Deaf provides education for children ages three through young teens in preschool, elementary and middle school classes. 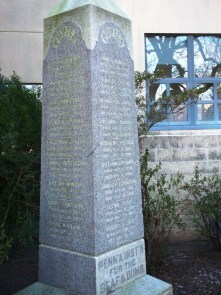 The School has a tradition of honoring the past. There is a Heritage Museum with items from all the past campuses of the Pennsylvania School for the Deaf. The school also supports the present community by providing adult literacy classes and early intervention services for parents dealing with deaf infants. Peggy Schroeder Antal, etal. “The Pennsylvania School for the Deaf: 175 Anniversary Philadelphia Deaf Heritage Tour. Saturday May 27, 1995.” Philadelphia: Pennsylvania School for the Deaf. 1995. Pennsylvania School for the Deaf, “Pennsylvania School for the Deaf School Brochure: The Move/ The New Site.” Philadelphia: Pennsylvania School for the Deaf. 1984.